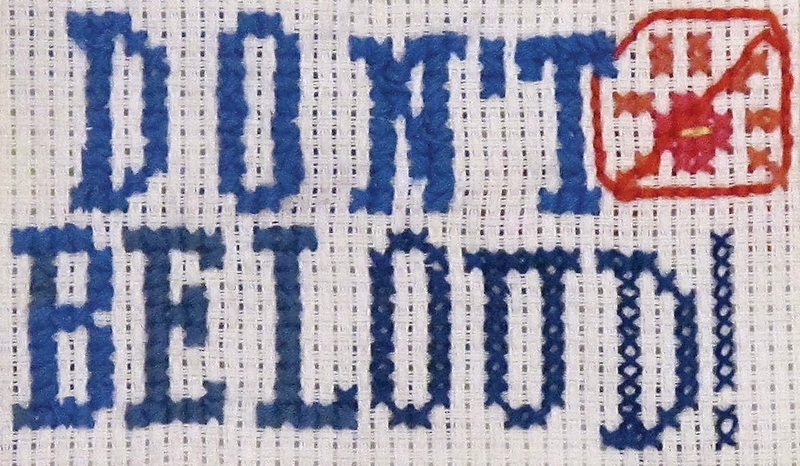 Brooklyn students embroider their ideas: Part 13 | Be Nice. I can totally relate to this one Kye! I think a lot of people struggle to avoid cursing, and I’m definitely one of them! Awesome job on your piece, it looks wonderful! 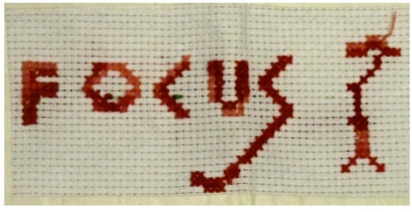 It takes a tremendous amount of focus to do cross stitch Asa, and you did a great job, so I think you’re well on your way to achieving your goal! Well done! I bet you could fill a whole sheet with things about you that are great characteristics, too, Lily. Like, a fantastic new cross-stitcher! Awesome work! I thought that this was a great idea. Excellent job and yes, don’t curse! You students have done a great job.